This kit is designed to treat all major water sources including well water and water treated with chlorine or low amounts of chloramines. This kit will work with all BRS 5 Stage RO/DI Systems and most other RO/DI units on the market today that use industry standard 10” filters. 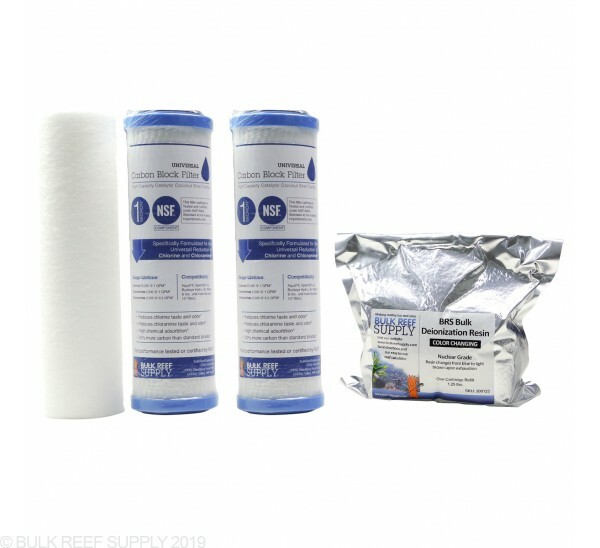 The 5 Stage RO/DI Replacement Filter Kit has been upgraded with the latest in carbon block technology and the best five stage RO/DI solution to universally treat for chloramines, chlorine and well water. The kit includes the upgraded GE 1 micron ROSave.Z true graded density depth sediment filter, two 1 Micron BRS Universal Carbon Block and a BRS Color Changing DI Refill. BRS Color Changing Resin is packaged in foil-lined 4mm Mylar bags and vacuum sealed to maintain maximum storage life and effectiveness. Changes color from blue to brown as the media is exhausted. 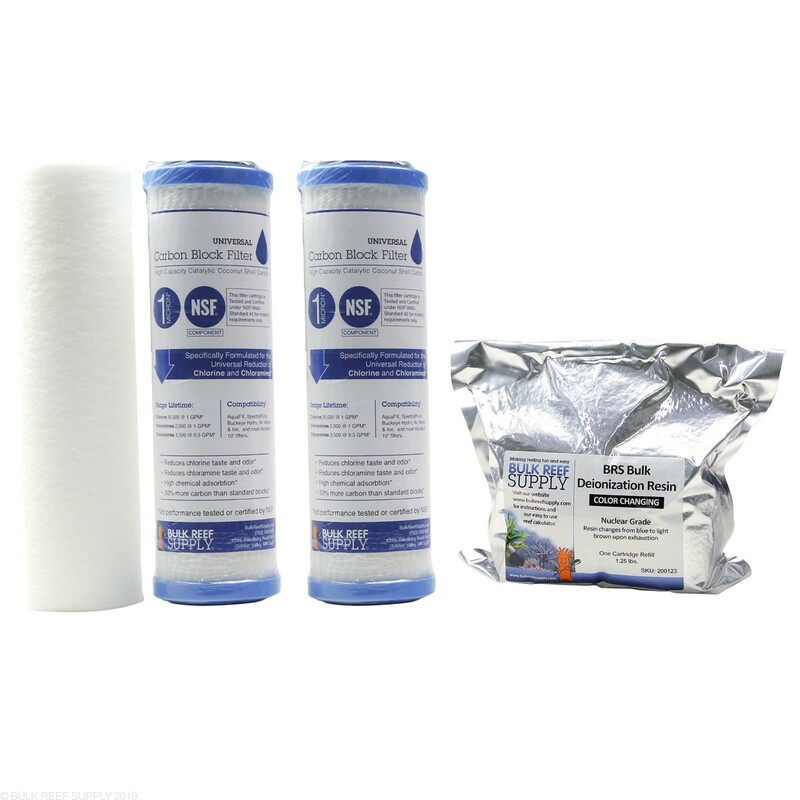 Note: Membranes are not included in standard filter replacement kits. Membranes should be replaced as needed. This kit has everything needed to change your 5 Stage BRS RO/DI setup.